Mini Müzikhol (MM) is always a good address to get lost in sounds. Baris K. will play all-night long MM on Friday, 02 May 2014 inviting you to embark on a journey of tribal rhythms, acid folk, energetic kraut rock, disco strings and Witch-House-moments. 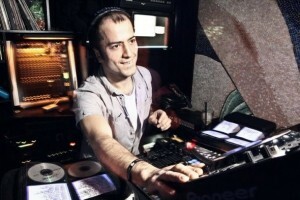 His long-standing experience behind the turntables is also well respected internationally. So be prepared. An extended feature about Baris K’s new label Aboov Plak, his project “Insanlar” and many more will be published on EDHID soon. So far, enjoy his remix for Pollyster’s cover version of Russ Ballard song “Voices” released on Munich’s fine label Permanent Vacation.